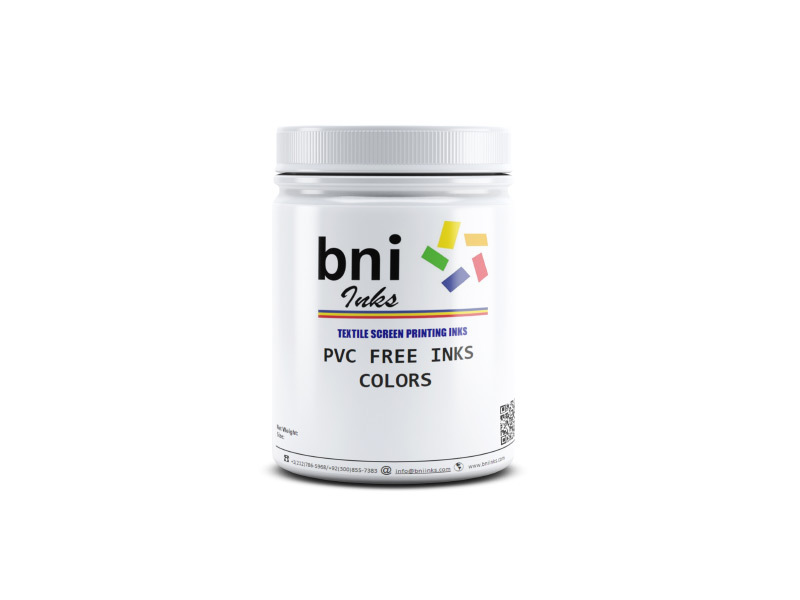 PVF Series PVC and Phthalate Free Plastisol inks, are environmental friendly, clear from all hazardous and heavy metal subtances. Smooth running on automatic press. 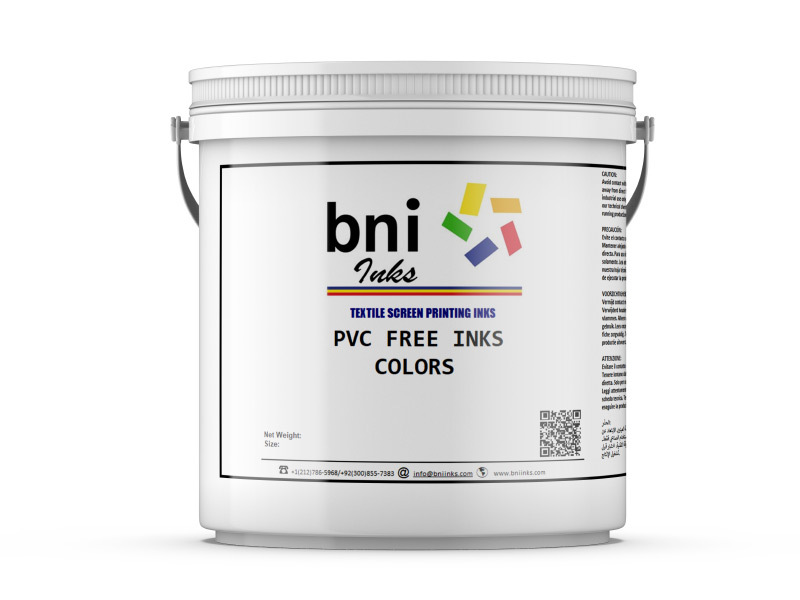 PVF Series PVC Free inks are ready to use paste. Holds a capability of accepting 3-5% SE-17 plastisol ink viscosity reducer. Stir in the container and pour the ink onto the screen. Make sure to adjust the flash temperature if printing between a multicolor print, or choose a suitable screen mesh for wet on wet printing. After printing, cure at a recommended temperature of 160°C for 1 minutes to achieve the best elasticity and durability. PVF Inks should be mixed in clean vessels using clean mixing blades and utensils. Any contamination from other ink sources or non-approved additives could make PVF Inks result fail for testing. For best results on dark garments, use PVF Snow White (PVF-121), as underbase and choose lower count screen mesh. 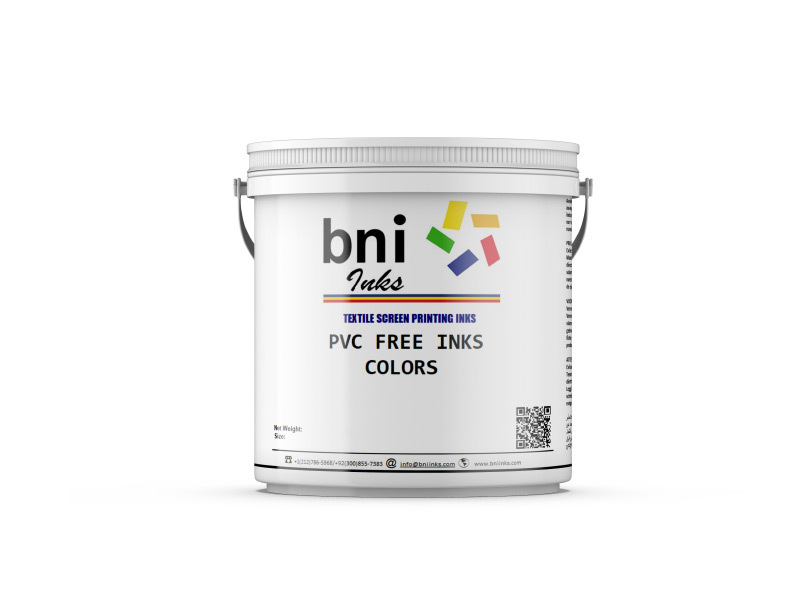 BNI Inks PVC free plastisols do not gel or change behaviour in weather/temperature change and have a long shelf life.